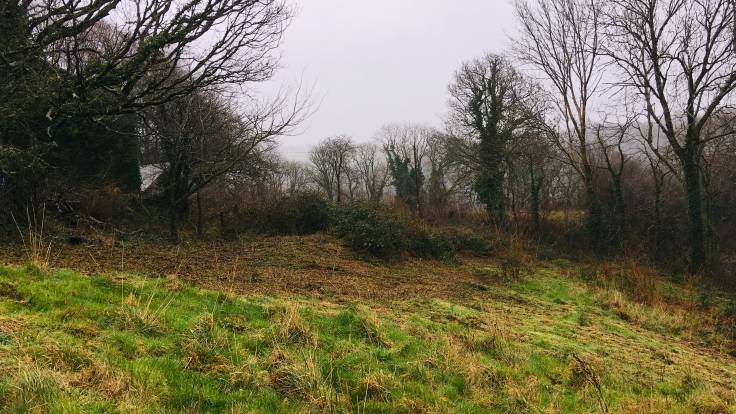 A daily rambling about the plan for a wildflower meadow at Forest Garden Wales. 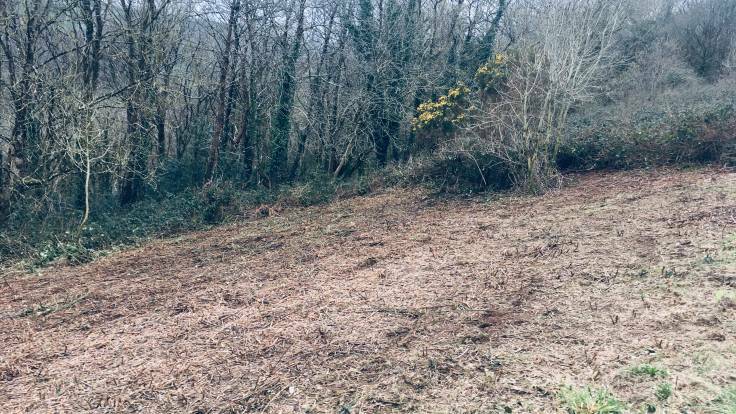 A neighbour has very kindly lent us a brush cutter, so I’ve been busy for the past couple of weeks clearing the bramble from the coppice area (pictured above) to plant more trees, and the 2 acre sloping pasture so that we can create a wildflower meadow. Too often, even in forest gardening, the first thought is “what’s in it for me?”. It’s a luxury to be able to spend time creating a habitat for wild flowers and wild pollinators. There will be hay, lots of hay, and I will use that for mulching and for composting. I would also like to plant some specimen trees amongst the wild flower meadow, so that’s some sort of yield. This year, it’s all about clearing the bramble (Rubus fruticosus). In this part of the world, it is everywhere. As bad vegans, and with bad fencing, we don’t have the neighbour’s cattle on the land any more. You can really notice the rapid spread in just two years. This is ecological succession in action. Already, oaks, ash and cherry saplings have sprouted up amidst the thickest bramble bushes. Next year, we’ll make a start on clearing the grass.